The San Francisco 49ers own the No. 2 overall pick of the 2019 NFL Draft, and now that Dwayne Haskins has declared they are in the best possible spot. We recently discussed the best options for San Francisco at No. 2 overall and concluded the best possible outcome would be a trade-down scenario with a quarterback-needy team moving up to land Haskins. Oakland (No. 4 overall) might be looking at an upgrade at quarterback — Mike Mayock’s recent comments about Derek Carr were stunning. The New York Giants (No. 6), and Jacksonville Jaguars (No. 7) are both desperate enough to trade up for a quarterback. Also, don’t count out John Elway as a major player with Denver sitting at No. 10 overall. Clearly, there is going to be a premium price to be paid for the chance to land the draft’s top quarterback, regardless of which team pays it. Now, Arizona might be inclined to see what it could get for the No. 1 overall pick, too. But given the lack of top-tier talent on the Cardinals roster, it seems like they might be more inclined to stay at the top and take the best player available. Most people agree that player would be Nick Bosa out of Ohio State. Regardless of what Arizona does, the 49ers are in the best possible position at No. 2. Either they’ll land a king’s ransom to move down, or Bosa is going to land in their lap. 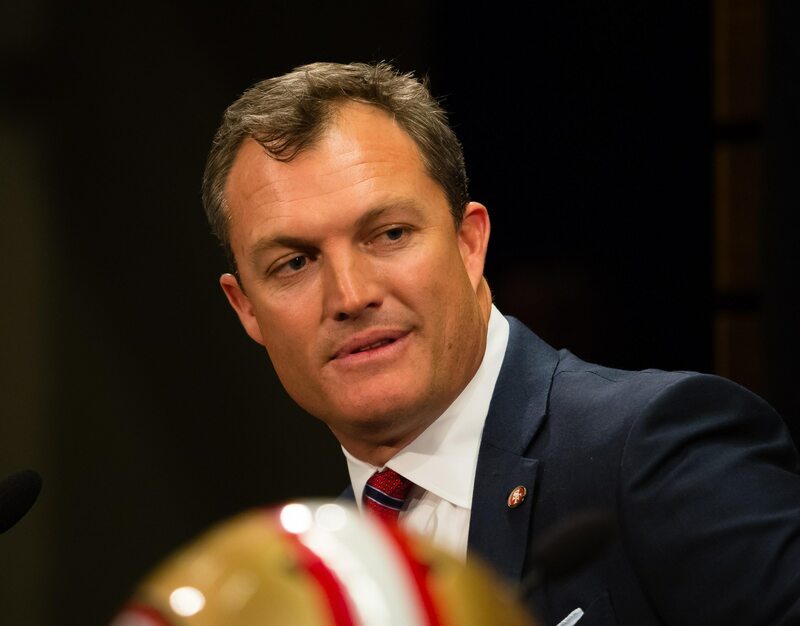 For a team that most figure will be in the playoff hunt next season — provided the injury bug doesn’t bite hard again — the Niners are in prime position to come out as a major winner in April.